They are all beautiful, but that pinky-coral color always makes my heart go thump! And my sister too…who walked the gardens with me to celebrate her birthday. Thanks! 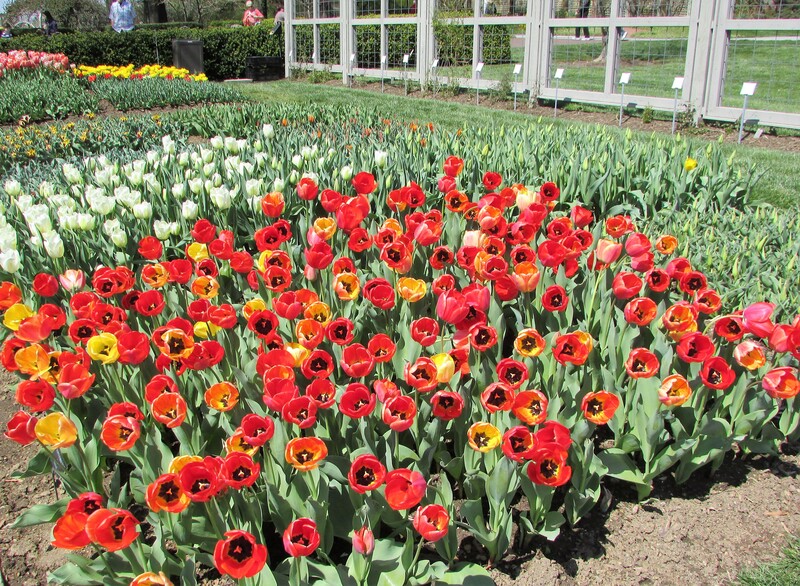 I wish everyone could see these beautiful gardens in person. Happy Birthday to Susan. I love coral red too. I have never seen this colour before. 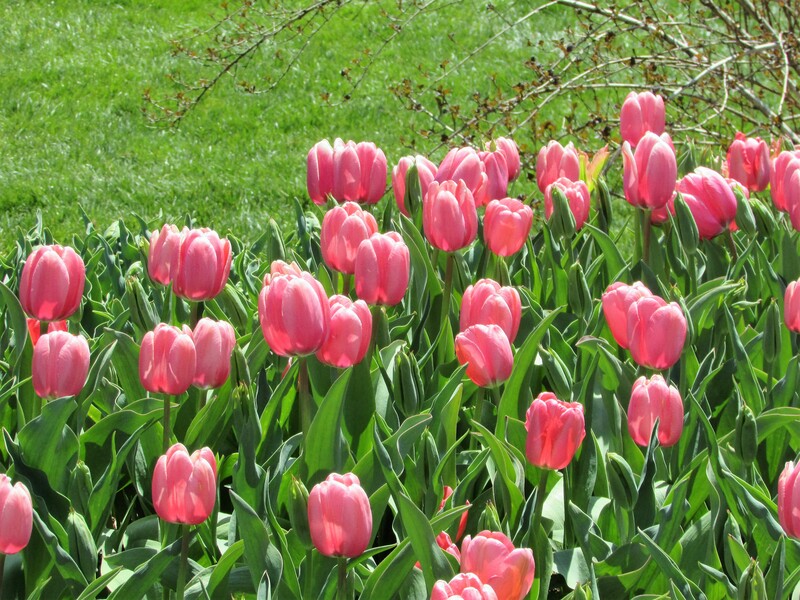 How long do the tulips last, Kathy ? Do they grow through the summer ? Thanks Susie, I just put in some geraniums in this color…although the label said salmon pink, I call them coral. Thanks for the good wishes for my sister…she is special to me. 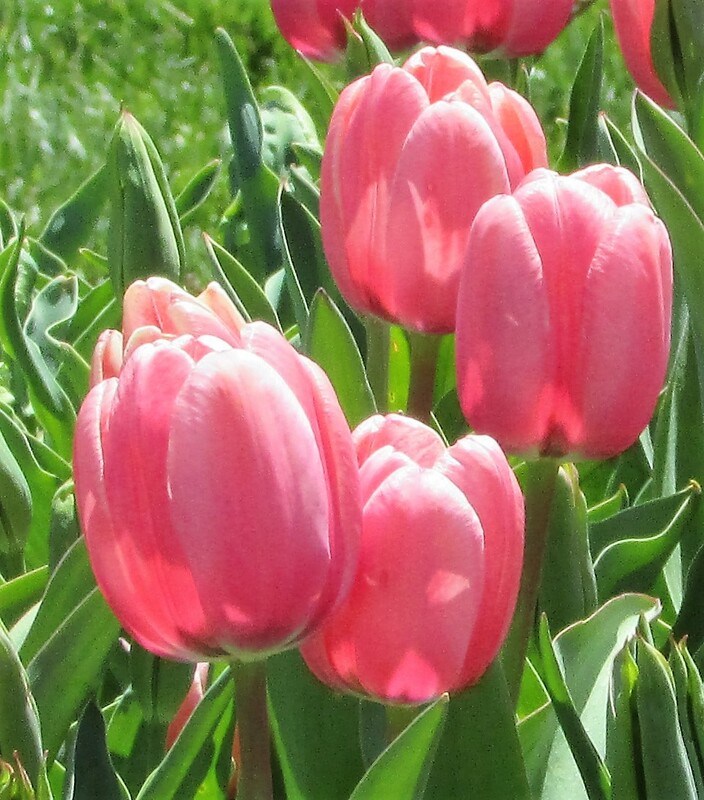 The tulips don’t last nearly long enough…a few weeks at most. I guess this is what makes them even more precious when they bloom. My neighbor has a gorgeous display in her front gardens this year. All beautiful and large with glowing colors. 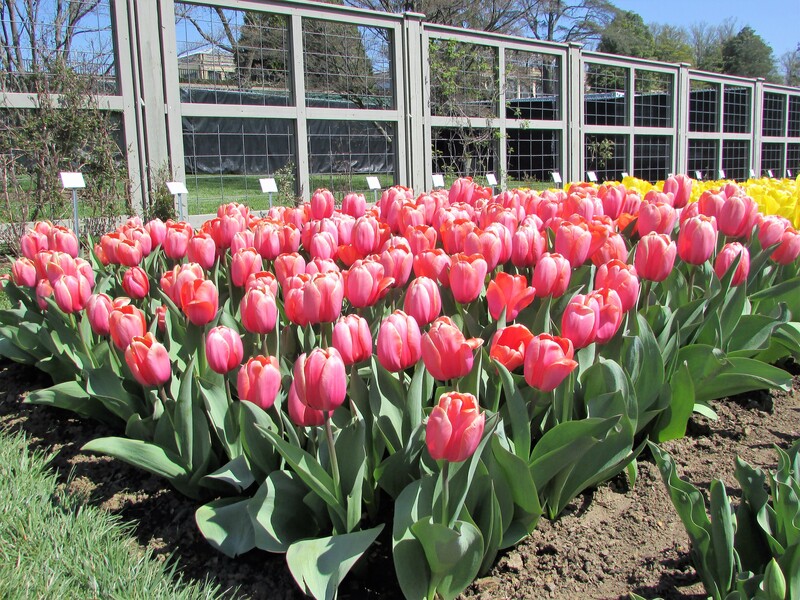 Tulip bulbs don’t last as long as daffodils…and after a few years will stop blooming. 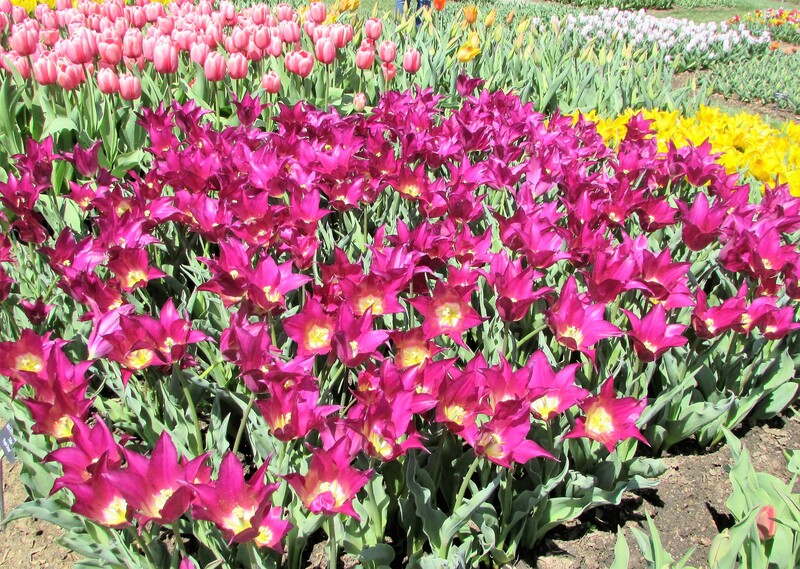 It’s good to plant a few bulbs every Autumn if you love them in the Spring. Have a happy day my friend.